Google AdWords works really well for some businesses and isn't so great for others. Managing AdWords campaigns for a variety of clients in many different markets has helped us work out the best strategies for business - now you can take advantage of this. 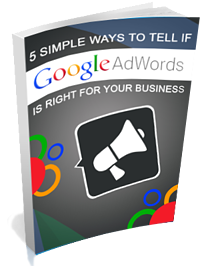 five simple tips to let you know if investing in Google AdWords is the right thing for your business.